Mac’s Waterski World was opened in 1978 in Moorabbin, Victoria, By Gary McNeill, at the time Mac’s was the first dedicated Waterski Shop in Australia. Although Gary is still involved in the business, the shop is now run by his Son Troy and his wife Tania. 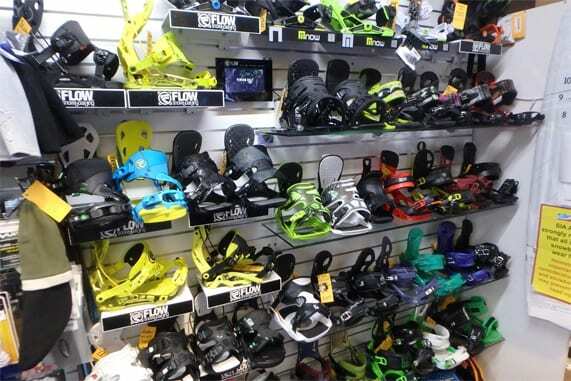 Although Mac’s was started as a Waterski Shop, they have expanded into Snowboard Equipment including Hire aswell. Mac’s is also a Skateboard shop although we do stock Street Skateboards we Specialize in Longboards and Having one of the best ranges of Premium Northern American Longboards in Australia. We at Mac’s Waterski World will endeavour to provide quality customer service and satisfaction to you the customer. If you are not satisfied with the item you have purchased, you may return the item within 30 days upon receipt of delivery, for a full exchange, to the value of the item(s) purchased. The item(s) must be returned in their original & proper condition, with the relevant paperwork. If we feel these, not to be to our satisfaction, we may not provide an exchange, and the goods will be returned to the customer.For a list of exceptions to our standard Return policy and instructions and shipping details, Please see Our Return Exceptions Policy (#4 below). Freight charges incurred back to Mac’s Waterski World is your responsibility, we will not accept COD deliveries. We will ship free of charge most orders over $300. We will Ship at Discounted Rates to these location. Bulky Items including Waterski’s, Wakeboards, Kneeboards, Snowboards. or any other item that are Large to Post with Australia Post. If you receive a damaged or defective item, contact customer service within 7 days of receipt of goods. Please supply your order number, item number and tracking number from your original confirmation order. Our customer service team will require your email address & phone number. Please note – Closeout Sale items are not covered by Warranty. Mac’s Waterski World will make every reasonable effort to replace the item within 2 weeks. If the item has been extensively damaged thru transit please call Mac’s Waterski World immediately on 03 9553-0915. All of the items sold on MACS.COM.AU come with a Australian manufacturers warranty. For additional information on this, please contact the Supplier directly. If you wish to return an item, please follow these simple steps. Pack the item securely, preferably in a bag. Anything fragile must be handled with care. Please include details of your order number, billing name, and address details. Please contact Mac’s Waterski World on 03 9553-0915 as you will require a return authorization number, to send your purchase back. Keep the tracking number for the package you are returning to insure receipt of delivery. You will also be given instructions re freight requirements.